United Healthcare Insurance clients may find that their insurance plan is designed to help cover some of the costs associated with drug rehabilitation, including hospital detoxification, hospital-based alcohol, and drug rehabilitation treatment, residential rehabilitation treatment, individual therapy, outpatient counseling and more. Such coverage can allow Aetna clients to partake in needed drug treatment that they may otherwise find cost prohibitive. California Palms is a luxury rehab for drugs and alcohol addiction that is a substance abuse facility that accepts United Healthcare Insurance for drug addiction and alcohol addiction residential treatment. Joint Commission Certification: In 2018, California Palms earned the Joint Commission’s Gold Seal of Approval for Behavioral Health Care Accreditation by demonstrating continuous compliance with its performance standards. California Palms underwent a rigorous on-site survey, observations, and interviews. 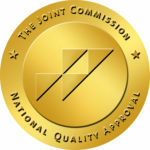 Only 7% of addiction treatment centers in the country have Joint Commission Accreditation.